Your Access to the Dong's School Calender! 2019 Canned Food Drive! 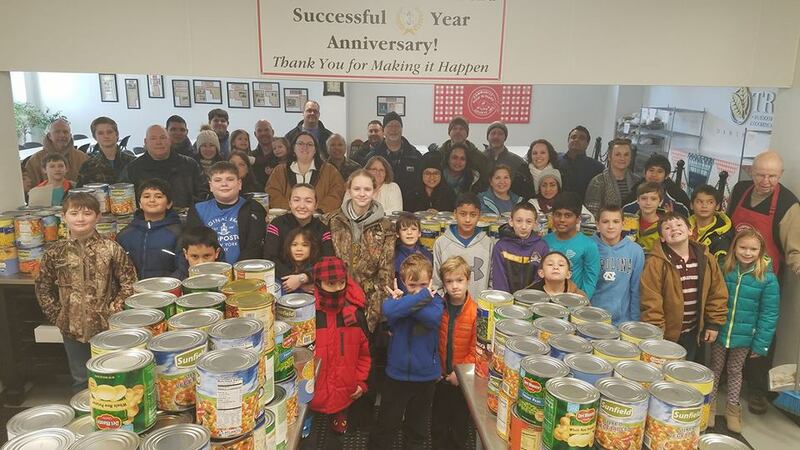 On Monday, January 21st, over 50 students and parents came together to load and deliver 4,307 pounds of non-perishable food to Wilson Community Soup Kitchen. The soup kitchen serves hot meals to those in need 5 days a week, year round on an all volunteer basis. 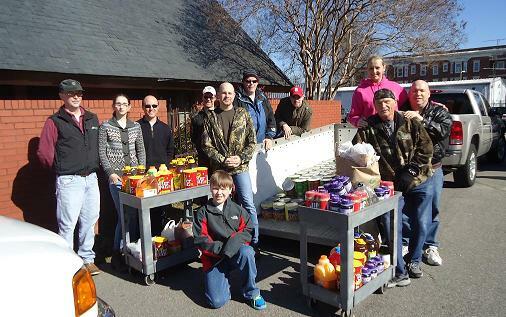 Our school has donated over 18,000 pounds of food to the soup kitchen over the past several years. We are very proud of all of our students, parents and instructors for making this possible and are thankful for the workers who serve at the Wilson Community Soup Kitchen year round. 2018 Tournament for Charity! 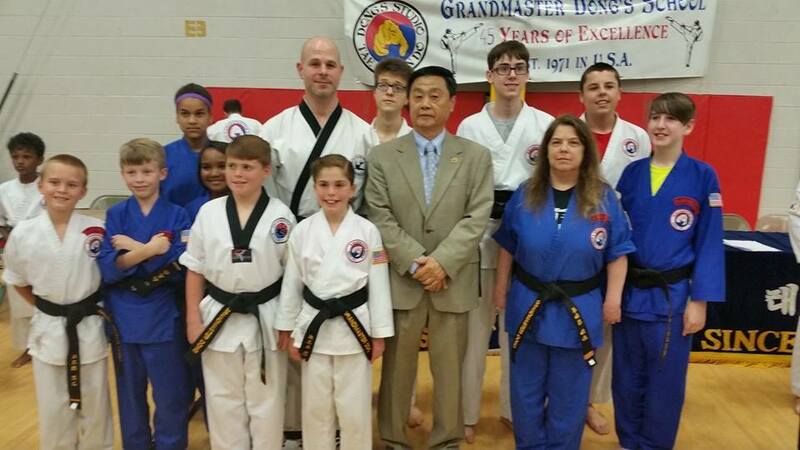 On Saturday, June 19th, twenty-three students from Wilson went to participate in Grand Master Dong's Annual Tournament for Charity in Richmond, Va. Our students competed in different divisions, some competing in creative breaking and some in forms and sparring. Through the competition we were able to raise over $28,000.00 to donate to Children's Hospital and that brings our total donation to over $533,000.00! We are very proud of all of our students and parents for making this possible. 2017 Tournament for Charity! On Saturday, June 3rd, twenty-four students from Wilson went to participate in Grand Master Dong's Annual Tournament for Charity in Richmond, Va. Our students competed in different divisions, some competing in creative breaking and some in forms and sparring. Through the competition we were able to raise over $42,000.00 to donate to Children's Hospital and that brings our total donation to over $505,000.00! We are very proud of all of our students and parents for making this possible. 2016 Tournament for Charity! 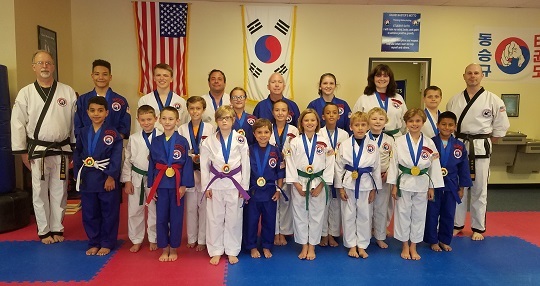 On Saturday, June 4th, twenty-three students from Wilson went to participate in Grand Master Dong's Annual Tournament for Charity in Richmond, Va. Our students competed in different divisions, some competing in creative breaking and some in forms and sparring. Through the competition we were able to raise over $38,450.00 to donate to Children's Hospital and that brings our total donation to over $462,000.00! We are very proud of all of our students and parents for making this possible. 2016 Spring Black Belt Exam! On Saturday, April 30th over 100 students participated in Grand Master Dong's 81st Semi-Annual Black Belt Exam. 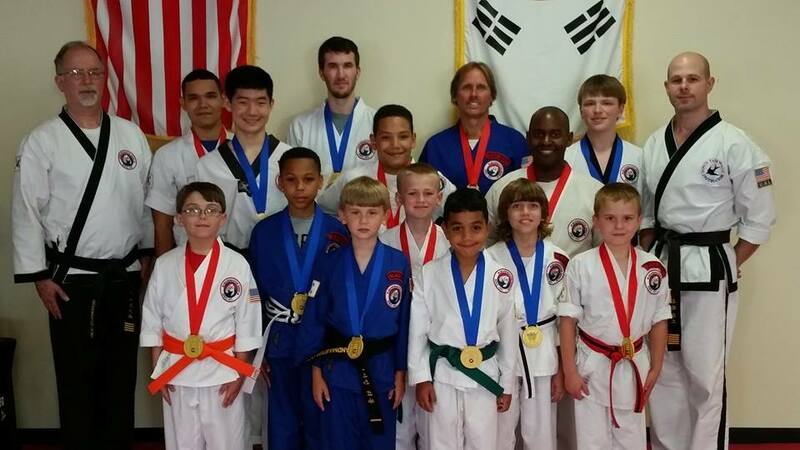 Eleven students from the Wilson Branch participated and were promoted by Grand Master Dong. Wilson students who were promoted to 1st Degree Black Belt were: Paige Mathews, Amaris Faison, Zachary Turner, Grayson McPherson, Chloe Rascento, Bailey Gardner, Joshua Phillips, John Daniel and Drew Witter. Two students received 2nd Degree Black belts: Pam Gilman and Jayden Mathews. 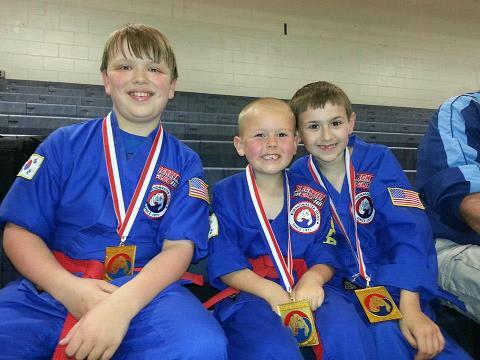 We are very proud of all of those who were promoted and congratulate you on your accomplishments in the martial arts! 2014 Spring Black Belt Exam! On Saturday, April 26th over 100 students participated in Grand Master Dong's Semi-Annual Black Belt Exam. Six students from the Wilson Branch participated and were promoted by Grand Master Dong. 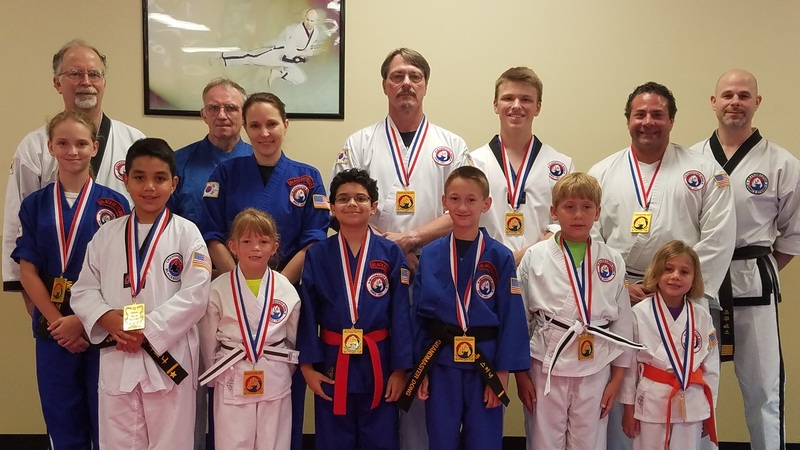 Wilson students who were promoted to 1st Degree Black Belt were: Landon Etheridge, Hunter Poole, Samuel Hurt, Sam Antolick, Brett Walston and Parker Moody. 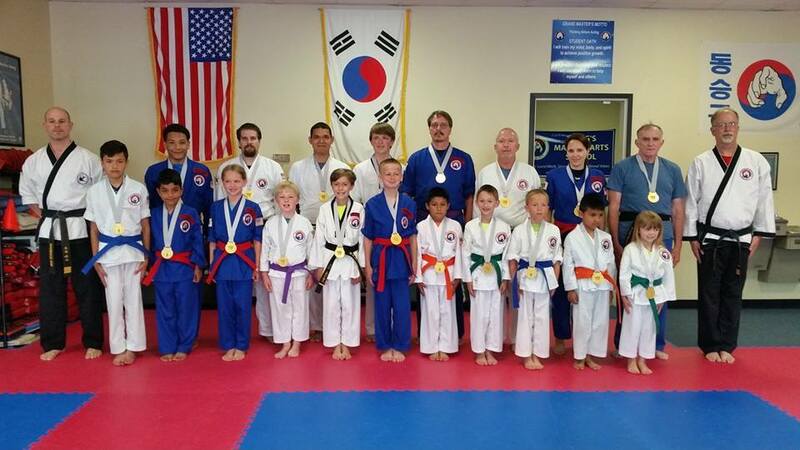 We are very proud of all of those who were promoted and congratulate you on your accomplishments in the martial arts! 2013 Steps of Hope Saturday, September 14th, over 40 students and family members from our school participated in "Steps of Hope", a 5K race held to raise funds to benefit Wilson Pregnancy Center. We had several students from our school who actually won medals in their age divisions! 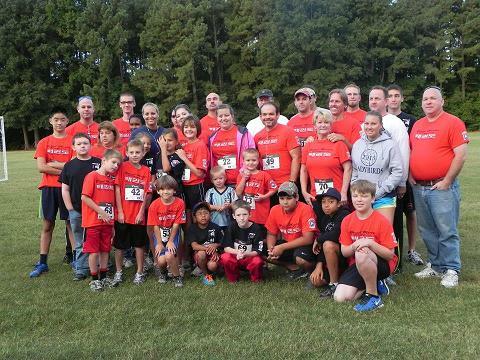 Through this race over $4,000.00 in much needed funds was raised. We are very proud of our students for challenging themselves and for helping our community! 2013 Tournament for Charity! Saturday, May 4th, sixteen students from Wilson went to participate in Grand Master Dong's Annual Tournament for Charity in Richmond, Va. Our students competed in different divisions, some competing in creative breaking and some in forms and sparring. Through the competition we were able to raise over $25,000.00 to donate to Children's Hospital and that brings our total donation to over $350,000.00! We are very proud of all of our students for making this possible. Black Belt Exam! On Saturday, April 6th, Over 150 students participated in Grand Master Dong's Spring Black Belt Exam and received various ranks of black belt. Nine students from the Wilson, NC Branch were included in this number. 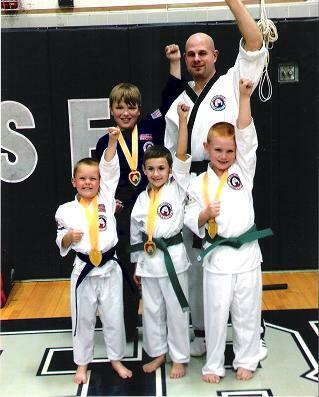 Patricia Luy, Carson Jones, Pheonix Everett and Jayden Mathews were promoted to 1st degree black belt. Receiving 2nd degree black belts were Emma Perez-Navarro, Evan Perez-Navarro and Jamie Rice. Eddie Hicks and Cameron Hicks received the rank of 3rd degree black belt and participated in a traditional Korean tea ceremony with Grand Master Dong. We are very proud of all of our students who were promoted as you all did an outstanding job on your performance. 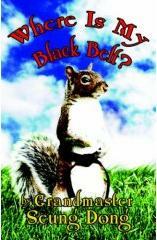 The next black belt exam will be held in October. Canned Food Drive! We would like to sincerely thank all of the students and parents who were so generous this year in helping us to raise 1600 pounds of canned food for the Wilson Community Soup Kitchen. The soup kitchen serves hot meals five days a week year round to people in need in the Wilson Community. 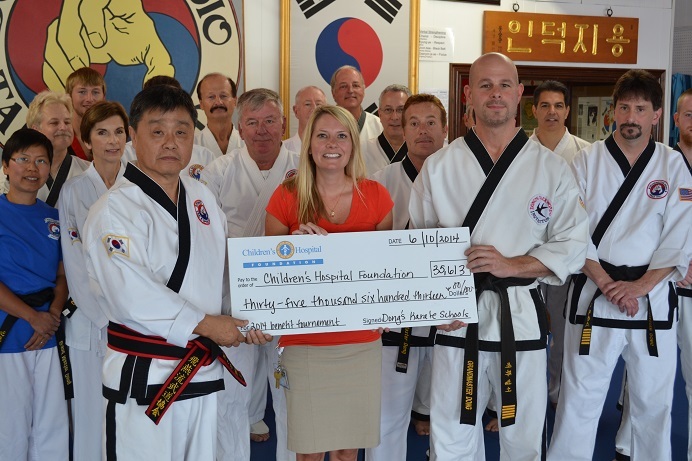 We greatly appreciate your help in making this happen and for sharing with our community the true martial arts spirit of caring for others! Wilson's Annual Nutcracker! Wilson's 3rd Annual Nutcracker was held at the Edna Boykin Theater in Wilson on December 7th and 8th, 2012. Toe 2 Toe Dance Studio and Dong's Martial Arts School teamed up to once again present the timeless Christmas classic. 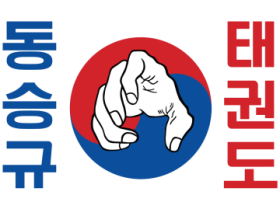 Dong's Martial Arts School students and instructors played parts in the performance and were responsible for all the fight scenes and martial arts choreography. Through ticket sales to the performance and donations made by local area businesses, we were able to donate $11,277.80 to the Wilson Pregnancy Center. 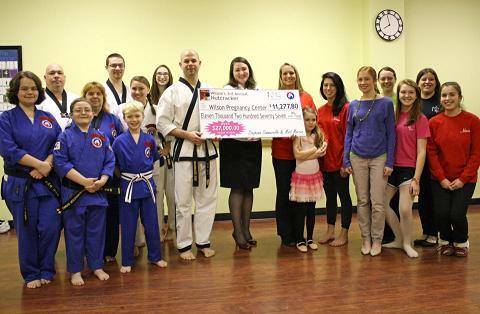 Over the past three years Wilson's Annual Nutcracker has raised over $27,000.00 for The Wilson Pregnancy Center. We look forward to the performance to be held in December 2013 which is already being planned! 2012 Tournament for Charity! Our 2012 Annual Tournament was held at Douglas Freeman High School in Richmond, Virginia on Novermber 3rd. We were very proud of all of our students who competed and through competing helped us to raise $28,337.00 for the Children's Hospital Organization! That brings us to over $330.000.00 donated to to this organization through our annual tournaments.